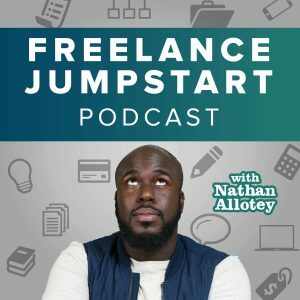 For the last couple of episodes, we’ve been in a series about value-based pricing, which is a pricing strategy that focuses on pricing based on the value you provide rather than a flat fee or an hourly rate. Today we’re going to dive into presenting the solution. So how did we get here? The first we talked about understanding the problem, the fact you must ask certain questions to find out what is valuable to the client and main business problem you are solving for. Once the problem was clearly defined we looked at researching and examining what it is going to take to solve the problem, the amount of time it will take to create a solution, and multiple options to present to the client. In terms of client interaction, the first meeting is a discovery meeting, you’re finding out about the climate of their business. The next meeting is a follow-up to understand the cost and find out how much money they make, how many customers the client gets and so forth. Now you are to the point to where you are ready to use all the information that we gathered combined with your expertise to present a solution(s) to the client. When presenting the solution to the client for value-based pricing this should be in the format of a proposal. Schedule a meeting with the client and ahead of time, write out a summary of how the solution will work and walk them through the logic of the proposal and how you’re solving the business problem. You have to believe the solution you’re providing is as valuable if not more valuable than the return the client will receive. To this point you must be confident, you must not show any signs of uncertainty on what you can deliver. Be clear, be bold and know your limits. Walk the client through your solutions and how each solution solves the initial problem they stated. During this section if you literally repeat back to the client the very same words they used when you were uncovering the problem and understanding the business you will strengthen their confidence in your solution. Your goal here is to ensure the client understands how the solution works and how the solution addresses the business problems and how they can benefit from it. You don’t have to get into every little particular about the solution but you do have to explain enough for the client to for them to feel comfortable with the direction. Also, if they have input to help enhance what you’re proposing that should be taken to heart as well. In part 2 I mentioned you need to have at least two solutions. One of the solutions will probably take more time and involvement while the other solution may be straightforward and not as costly in terms of your time spent and what the client will pay. I recommend choosing one option as the main primary choice, which should be the obvious choice.Again the reason we have two proposed solutions is to shift the client’s mindset from making a “yes or no” decision to making a “choice” between your two options. So here’s what you’ve been waiting for: What should you charge when using value-based pricing? Here’s an example: let’s say the person you’re working with is a lawyer and the work you are going to produce for them will bring two more people to their business per month. This translates to a total of 24 people per year. So looking at that the next step is to find out how much the average client is worth and multiply that by 24. Notice I said an average of two more people per month there are many factors that can determine the ability to bring in more clients, however if you propose this logic to a client make sure it is an attainable goal and a realistic goal. Maybe it’s not two extra people a month, maybe it’s one extra person a month. This also assumes you have a client who wants to grow and wants to be successful. Let’s assume the average client is worth $3,000 to a lawyer. If the business problem I solve leads to 1 extra client a month then charging the client $20,000 is okay because their increase in one year will be $3,000 x 12 months = $36,000 in the first year. This same logic can be applied to anything even if it’s not monetary perhaps the value involves time saved. If the solution involves an increase in efficiency then I need to multiply how many hours my work can save them by how they value their time per hour. Hi Nathan, I have a question for you based on this topic. Once you determine that you will be making them $36K per year, how much of that would you recommend charging for that service? If you were to charge the full $36K there would not be much point in them investing as the service eats up the entire profit. Is determining the % of value to charge, where understanding your costs come into play? I.e you can’t charge 10% if it’s going to cost you more than $3,600 in operational costs to run the service. Do you have a rule of thumb that you work with for determining what % of the value to the client you charge as your fee?